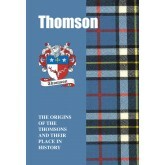 Discover the history and origin of your Scottish clan and family history with these fun entertaining and easy to read mini books. Authored by our very own experienced journalist/historian these books describe the origins of your family name in a light hearted and informative fashion. Presents for all the Scottish family. Why not buy a bundle (and get a discount) and give them out as present at birthdays, family celebrations, family reunions, retrial parties, christmas or just a random act of kindness and generosity. They make great stocking fillers at Christmas. We deliver to most places around the world. 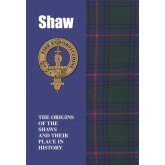 Bearers of the Shaw name stem from two quite separate and distinct sources, but all share a common heritage in the significant role they have played in Scotland’s colourful saga. In the Highlands, they were loyal defenders of the cause of the Royal House of Stuart through all its misfortunes, while it was a Lowland Shaw who became a prime architect of the mysterious worldwide movement known as Freemasonry. 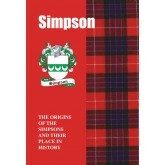 In more contemporary times and on the stage, Robert Shaw,..
From roots in Saxon England and the French provinces of Anjou and Normandy, the Simpsons found themselves at the forefront of Scotland’s bitter Wars of Independence with England and later rallied to the doomed cause of Prince Charles Edward Stuart. In the Borders, a family of Simpsons gained a fearsome reputation as lawless raiders, while in the distant north they forged a kinship with the clansmen. In more peaceful times and pursuing a more constructive pursuit,..
Descendants of fierce Viking sea raiders who settled in Normandy, the Sinclairs later laid the foundations of a mighty power base in Scotland that stretched from Midlothian to Caithness. Builders of the mysterious Rosslyn Chapel in Midlothian, they are reputed to have had links to the shadowy band of warrior monks known as the Knights Templar and been custodians of an awesome secret relating to the bloodline of Christ. The chapel may have built as a repository fo.. 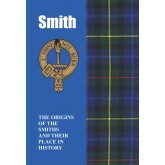 The origins of the surname Smith can be traced back to the mists of time when man discovered how to extract precious metals from ores and skillfully fashion them into implements of both war and peace. Many of these adepts in the mysterious art of metalworking became hereditary smiths for Highland clans, while in later centuries their descendants would find fame, fortune, and adventure across the world in skills far different from that of their forebears. Recounted here is the colourful and.. 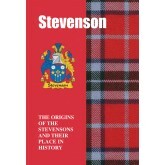 Rooted firmly in Scotland’s ancient soil from earliest times, bearers of the Stevenson name and its variations were witnesses to some of the key events in the nation’s long and frequently turbulent history. A number of highly talented dynasties of the name dominated the very different realms of engineering, literature and politics, while their descendants flourish throughout the world to this day. 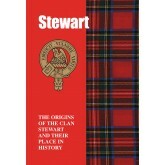 This is not least through a truly remarkable family of pioneering ..
Tracing a descent from the twelfth century Walter Fitz Alan who held the hereditary title of High Steward to the Scottish king, it was through the marriage of his son Robert to Marjorie, daughter of Robert the Bruce, that the Royal House of Stewart was born. Tragedy dogged them over the centuries – with James 1 stabbed to death, James 11 killed when a cannon exploded near where he had been standing, James 111 murdered, James 1V killed at the battle of Flodden in 1513, Mary Quee.. Taking their name from the most northerly part of Scotland, descendants of the name today first settled there during the reign from 1329 to 1371 of King David I, who had tasked them with ousting Norsemen who had occupied the vast territory. 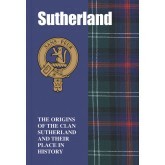 The progenitor of the clan was Freskin, a Flemish mercenary who succeeded in the arduous task of battling the Norsemen, and honours and distinction were bestowed on them that included the Lordship of Sutherland. 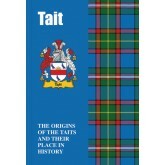 With the motto..
Bearers of a name that resonates throughout the turbulent history of the Scottish Borders, the Taits and their namesakes the Tates for centuries led a precarious and violent existence. Others brought honour to the name through a range of more peaceful pursuits, acquiring great distinction along the way. The vibrant drama that is their lives and times is recounted here. .. Although their name is of French origin, bearers of the surname Taylor have been at the heart of Scotland’s affairs for centuries, sharing in its glories and its tragic misfortunes. As proud kinsfolk of the clansmen they fought bravely and at great personal cost for the cause of the ill-fated Royal House of Stuart, but in later centuries achieved international renown as scientists, scholars, actors, and musicians. 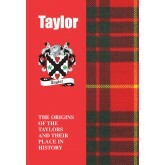 Recounted here is the vibrant tale of proud bearers of the surname Taylor. .. It may be one of the most common surnames throughout Europe and North America, but those who have borne the name in all its various forms have performed extraordinary deeds throughout the centuries. 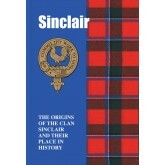 Kinship can be traced back through the mists of time with Highland clans whose legendary exploits are part of Scotland’s colourful but bloodstained story, while descendants of these tartan-clad warriors stamped their mark on world affairs. Read here of the clansmen, poets, scientists, architect..
A name with deep roots in the Borders area of Scotland and one with a colourful and legendary origin, its bearers have stamped a unique mark on the pages of the nation’s history. 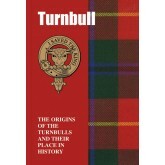 Found frequently on the battlefield, other bearers of the Turnbull name have gained honours and distinction through a diverse range of different pursuits. Read here their proud and vibrant tale. 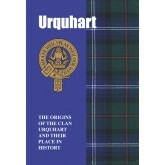 ..
From the haunting beauty of the shores of Loch Ness to the grandeur of the Black Isle, the proud heritage of bearers of the name of Urquhart is firmly rooted in Scotland’s ancient soil. Stalwart defenders of the nation’s freedom and loyal supporters of the Royal House of Stuart, they experienced both glorious fortune and tragic misfortune. On the battlefields of the twentieth century, Major General Robert Urquhart was the commander of the British 1st Airbor.. Scattered across the globe today in a variety of pursuits and occupations, Walkers are nevertheless heirs to a rich and colourful heritage rooted in Scotland’s turbulent past. Some were ardent in their support of the doomed cause of the Royal House of Stuart, while others bravely defended the cause of the religious Covenant, all contributing in their unique way to the nation’s historical tapestry. 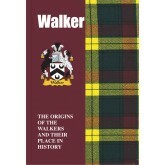 Here are recounted the stirring lives and times of the Walkers. ..
Bearers of a name that resonates throughout the pages of the frequently turbulent drama that is Scotland’s history, the Wallaces settled in Scotland in the early twelfth century, acquiring lands in Ayrshire and Renfrewshire. Their most famous son to this day remains William Wallace, the great freedom fighter of the Wars of Independence, born in Elderslie, near Paisley. 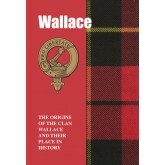 Wallace was for a time a bright star in Scotland’s firmament as he and his band of guerrilla fi..
From the mountains and glens of the Highlands to the hills and valleys of the Lowlands, Watsons have for centuries been at the heart of some of Scotland’s most remarkable and bloody historical episodes. Proudly claiming kinship with two powerful clans, they shared in both their glorious fortunes and tragic misfortunes, while some were martyred in the cause of their religion. 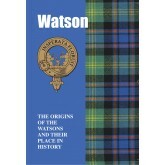 Read here of the role the Watsons have played on the stage of Scotland’s vibrant drama. ..